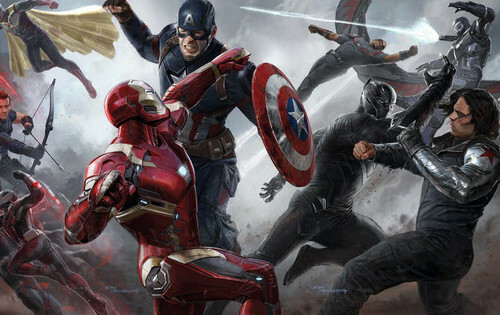 Captain America: Civil War hits theaters on May 5, ending a spectacular spate of superhero-on-superhero action that started with season 2 of Daredevil on Netflix. The early reviews are positive, and I have that deep-down childlike kind of excitement. Make no mistake, it is good time to be a comics geek. But why stop at just the movie? You don’t just want an entrée – have a glass of wine, an appetizer, a side dish. For the next few minutes of clickbait-reading, let me be your garçon and guide you through a full Civil War experience. Bon appetit. 1) Captain America: Winter Soldier – The Winter Soldier is a character that is only just beginning to break through to wider audience awareness outside of his comic book appearances. Even in the movie named after him, his role was a little anemic. Now, as the Soviet Union’s secret weapon threatens to explode across public consciousness in one of the biggest superhero movie events since friggin’ Superman in 1978, it’s worth doing a little background reading, so you can say you knew about him first. 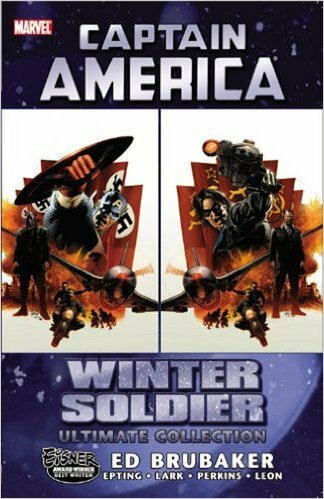 It doesn’t hurt that the two-volume Winter Soldier storyline kicks off perhaps the best Captain America run in recent memory, with Ed Brubaker’s savvy modern political thriller style mixing media manipulation with flying cars in a way that feels completely natural. If you want a grasp on who the Winter Soldier is, if you enjoyed the Winter Soldier movie, if you generally like things that are good, do yourself a huge favor and pick this one up. 2) Civil War – This is it. The main event. 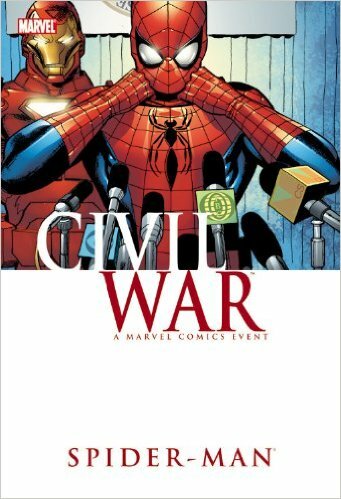 Mark Millar’s Civil War miniseries rocked the comics world from its first issue in the summer of 2006, and it still has comics fans arguing ten years later. His tortured Tony Stark and rebel Captain America, best friends fiercely opposed in a war of principles that will decide the future of the country’s superheroes, were some of the most powerful expressions of those characters at a time when both men were receiving strong treatments. And if that’s not enough, Steve McNiven’s photo-realistic art works incredibly well both for action and drama. If you read just one book on this list, make it this one! 3) Spider-Man: Civil War – Spider-Man is just a kid in Civil War, his age having been once again reset for this third cinematic iteration. But by the time the Civil War rolled around in the comics, Peter Parker was in his late 20’s (arguably even a little older), and he faced some very adult decisions. His undecidedness during the conflict made him an ideal stand-in for the reader, torn between their favorite superheroes and whatever they thought the “right” decision in the war was. Although Spidey in the movies is back to doing homework and fighting his best friend’s dad (again) (probably), it’s worth going back and checking out this story and discovering or re-discovering that Pete is relatable at any age. 4) Black Panther: Who Is Black Panther? – Many articles on Black Panther floating around the geekosphere right now will point you in the direction of the storied Christopher Priest run in the 90’s as the best modern take on the character. 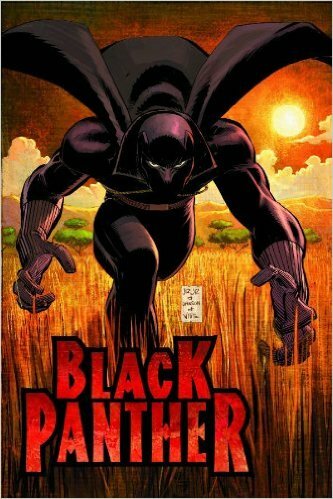 However, this book is a strong introduction for a new reader looking for the main pillars of the Black Panther mythos. John Romita Jr.’s art is nothing to sneer at, either. Best of all, it’s available as a motion comic, although the voice acting is sketchy – especially a hilariously over-the-top Stan Lee as an irascible Pentagon general. 5) Iron Man: Civil War – “I thought I was your best friend.” Although this line is built on shaky ground considering the rocky history of the movie versions of these characters, it perfectly captures Iron Man’s frustration as one of his very closest allies pulls away from him. It’s a frustration exploited beautifully in the Iron Man title’s Civil War tie-in stories, arguably some of the best single stories from the event. Although “The Confession” gets a lot of great word-of-mouth (rightfully so), my favorite story in here is “Rubicon” from the Iron Man/Captain America: Casualties of War one-shot. 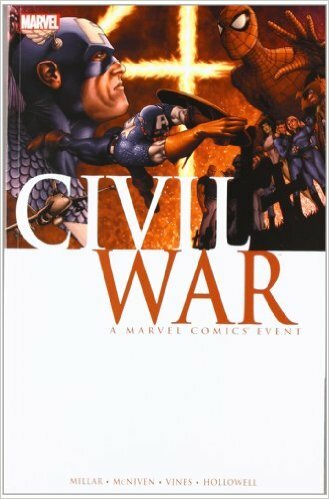 In that story, as the Civil War ramps up in intensity, Cap and Shellhead meet secretly to try and talk out their differences, and it’s perhaps the most insightful story of the event as far as the motivations and viewpoints of these men, and why there’s no middle ground for them. 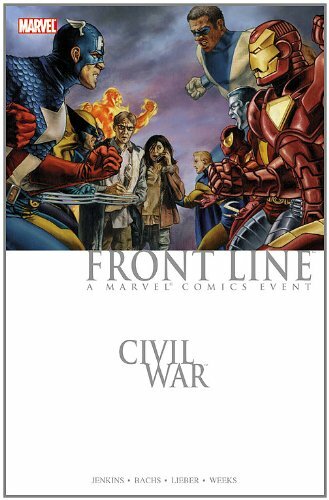 BONUS: Civil War: Frontline – If we’re going to talk about Civil War, there’s no way I can leave the discussion without bringing up Civil War: Frontline. A wide-ranging miniseries collected over two volumes taking the perspective of many B-players in the event, from reporters covering it on the ground to the young superhero whose tragic mistake ignited the entire conflict. While some other titles leaned on a simple rebels-vs-evil-empire take on the Civil War concept, Frontline dared to take the mature ideas at its heart and expand on them. The characters in Paul Jenkins’ ground-level saga are confused and struggling, and they don’t necessarily walk away from the story having learned the right lessons. 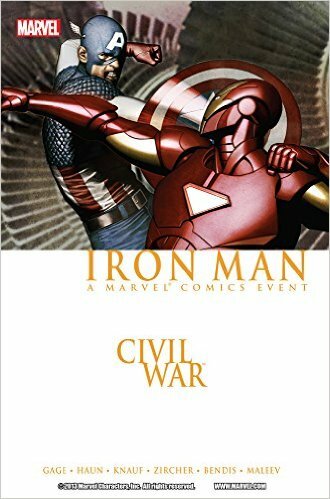 The book doesn’t always succeed with what it’s trying to do, but if you want the full Civil War experience, it’s a must-read.